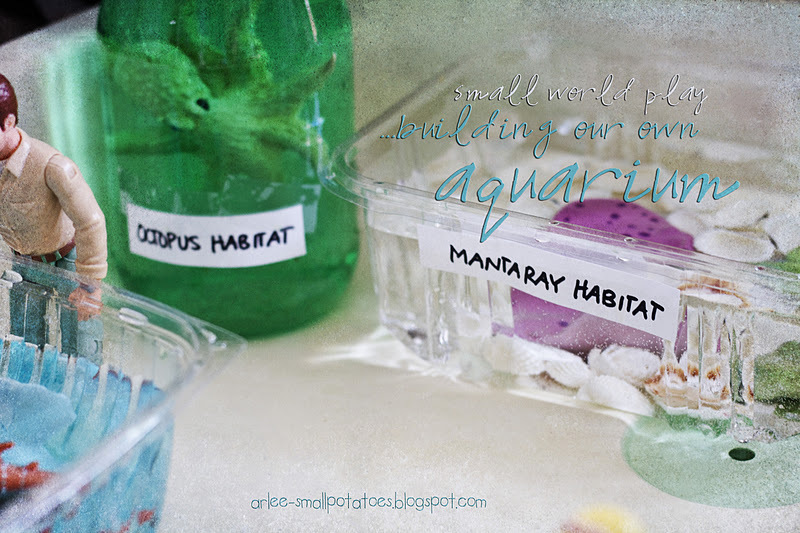 Small World Play…Building our own Aquarium! Well, we’ve made it to day four of our Water Week, and we are all a bit wet around here. Today’s activity was probably our favourite one of all. 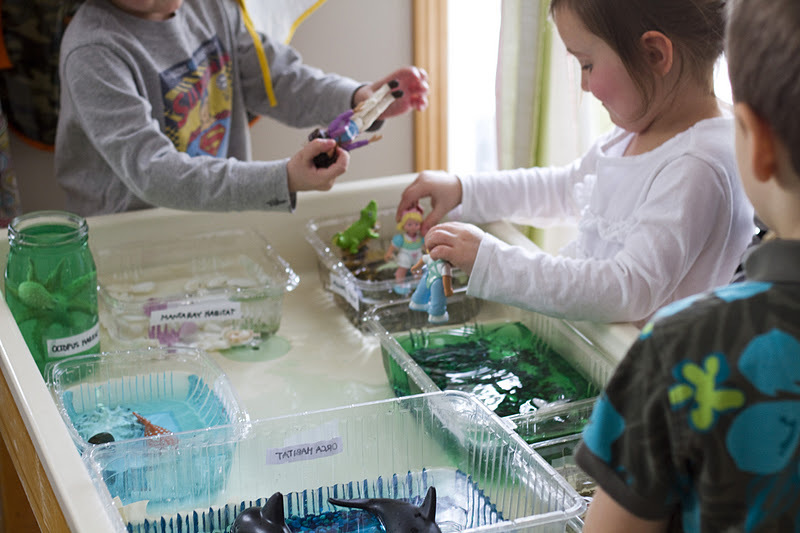 We built our own small world aquarium. 1. Empty salad or veggie containers, even the cake toppers from grocery store cakes, and jars work too! 2. 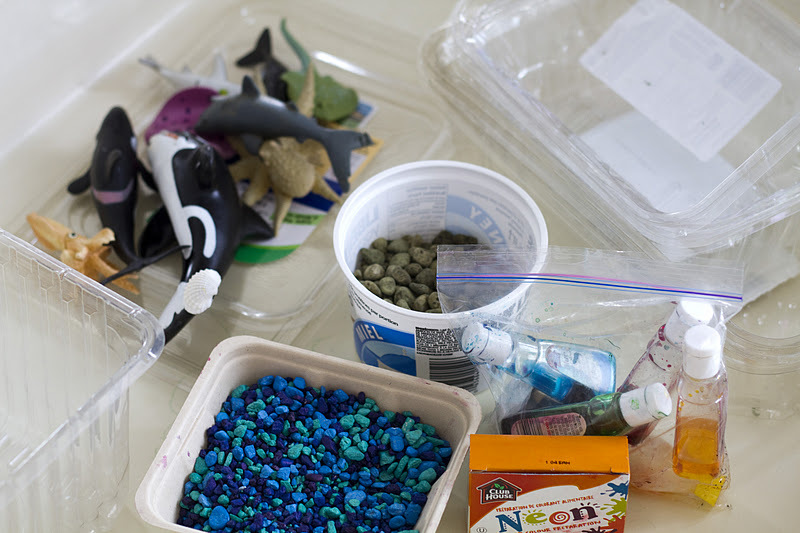 Aquarium rocks, seashells, plastic plants, rocks, and any other materials you think might work in building habitats. 5. Water and food colouring. 6. Paper, marker, and tape to make the habitat signs. 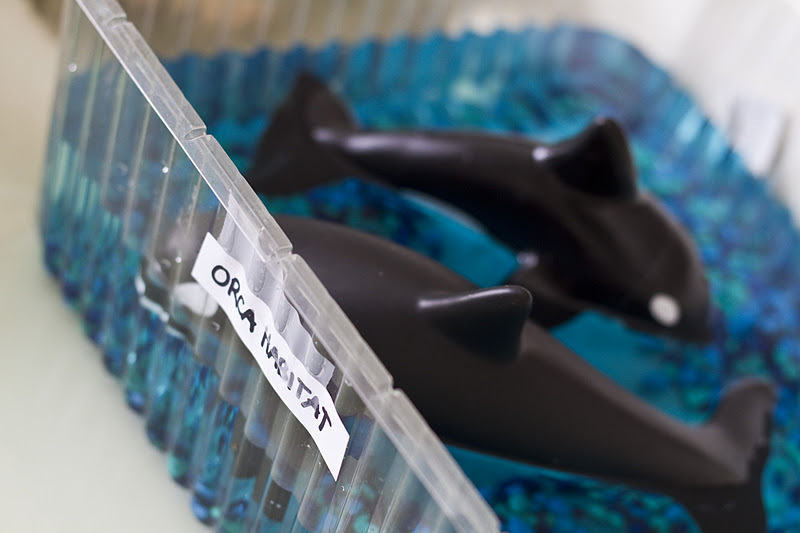 They chose the large cake topper container for the whales, as they need more space! They thought the sharks should have green water! 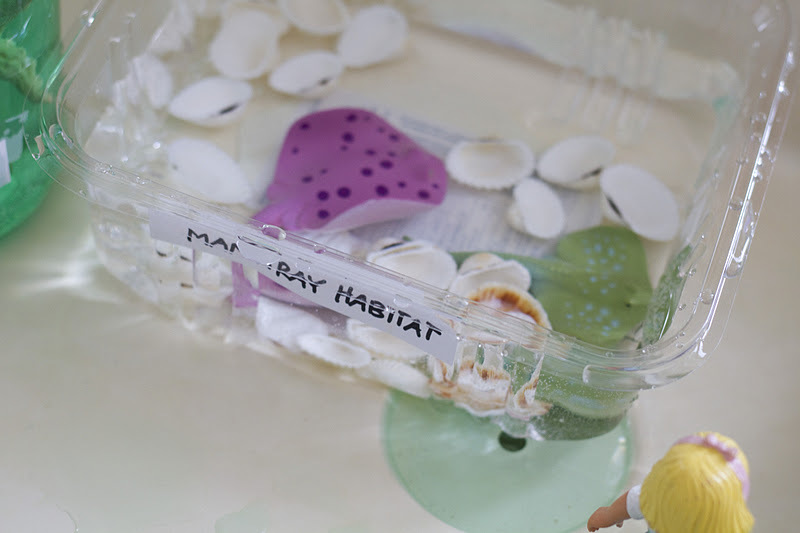 Our rays got the pretty seashells and clear water so they would be clearly visible. 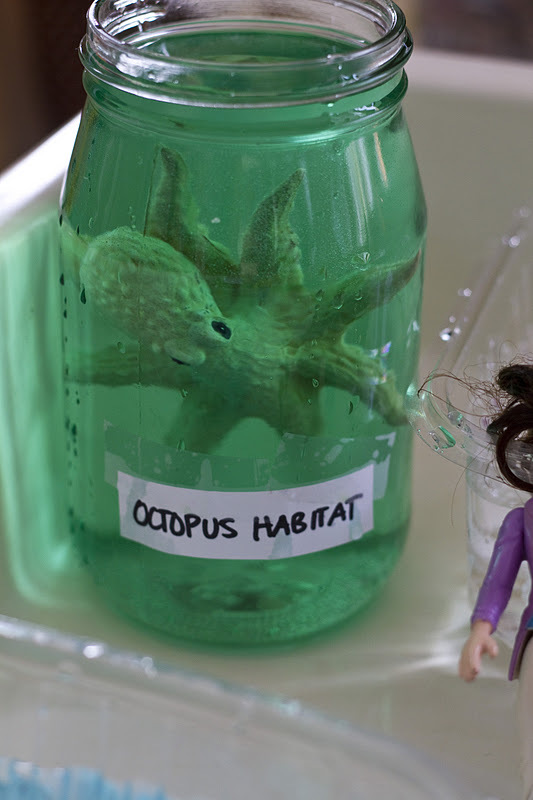 They put the octopus in the jar so he could spread out his tentacles! 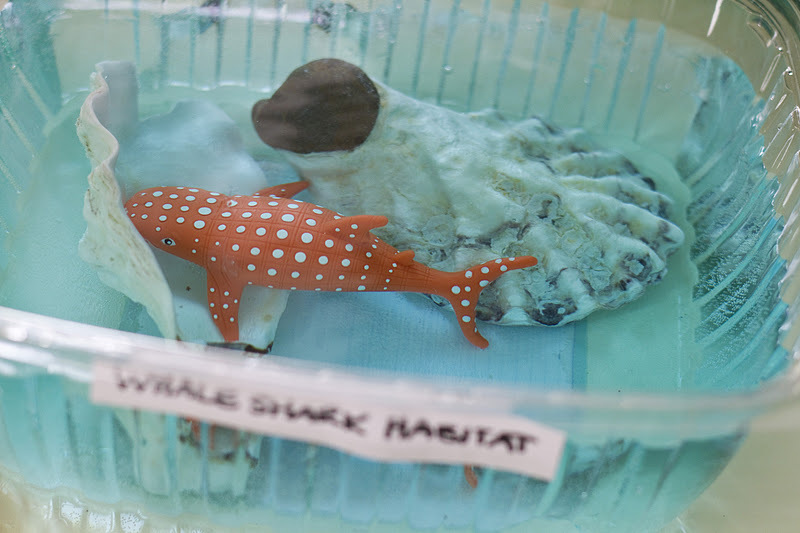 The whale shark has my favourite habitat…the colours the children chose just look so pretty! And the alligator got a climbing rock so he could come out of the water sometimes. And then the playing began in earnest! 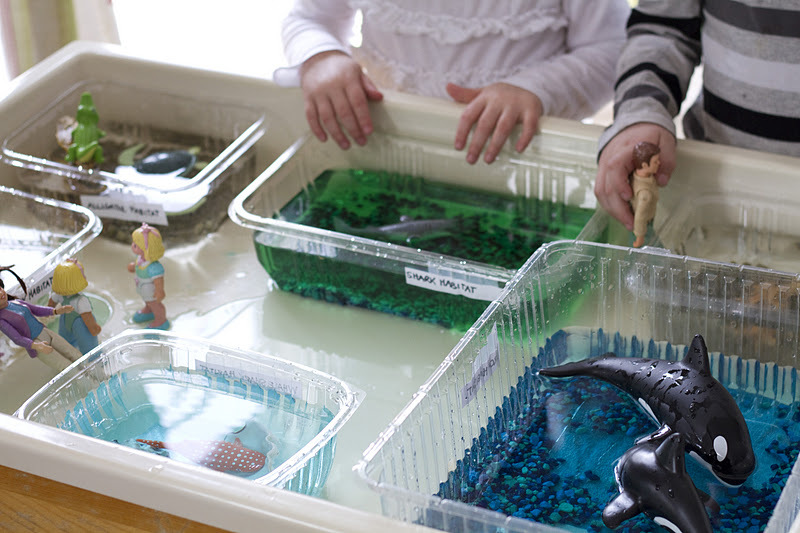 So many visitors to our aquarium! 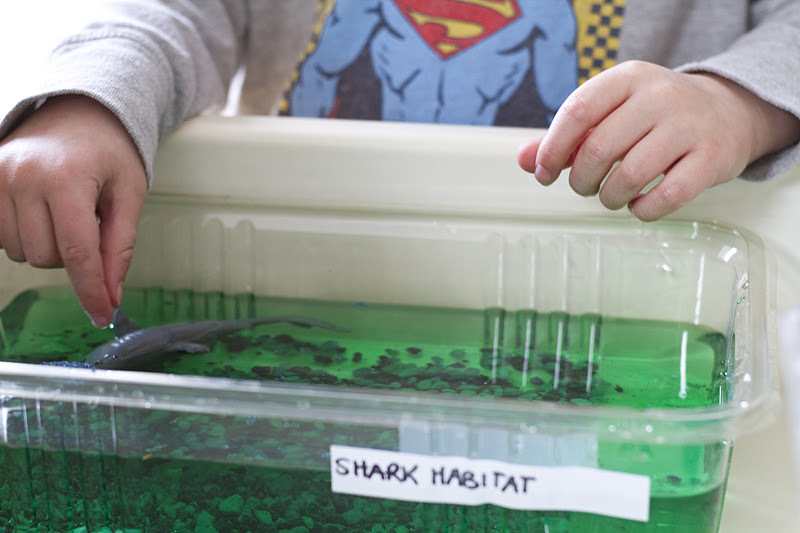 The visitors even got to swim with our creatures and experience the habitats first hand! 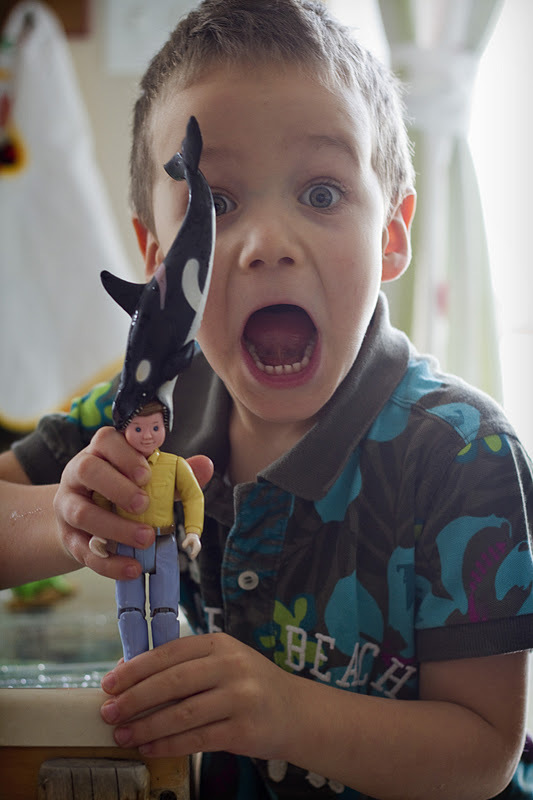 And then the fun REALLY began! 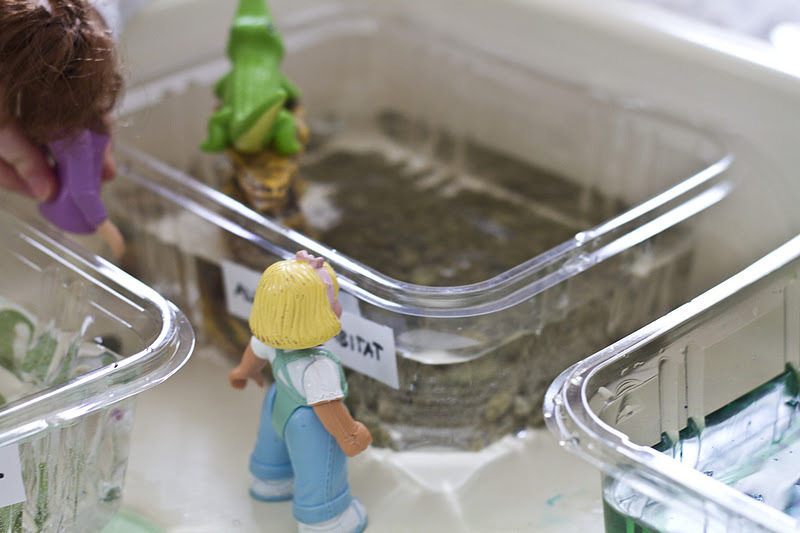 Enjoy this fun “habitat creating” activity with the small people in your life. It’s guaranteed fun! Oh, the things they can learn as they play. And please don’t fret about the mess…it all comes dry with towel or two! so fun! I wish you were my mumma! Thanks, ladies! It was great fun! I love Gage's face! He has such a great imagination. What a super idea! Love that last pic too!